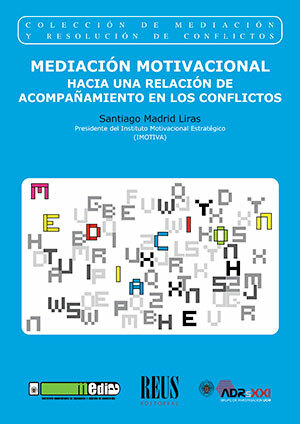 This special issue of Revista de Mediation brings Insight thinkers together for the first time in one collection, expanding its discoveries beyond the borders of North America into Spain and the Spanish speaking world, and making new advances in the Insight Approach that push the boundaries of current thinking. Our hope is that mediators and conflict professionals from around the world can benefit from the unique perspective that the Insight approach brings to the field and use what is presented in this issue to further sustainable peacebuilding practice. It has been roughly fifteen years since Cheryl Picard and Kenneth Melchin began to formulate Insight Mediation in an effort to capture for third party practitioners how we use our minds as we engage and disengage in conflict so that we can more reliably work to transform it. The intervening years have lead to the growth, evolution and refinement of the principles that underlie Insight Mediation into the broader, Insight approach to conflict analysis and resolution, which has become an explanatory framework for understanding and addressing conflicts that range from the interpersonal to the social and for intervening in innovative and context specific ways. What is unique and enticing about the Insight approach is that it is part of an emerging science of conflict resolution that is grounded not in logic or deductive reasoning, but in empirical experience. It takes as its point of departure the interiority of threat and defense that patterns conflict behavior and argues that if that interiority can be elicited, then insights can be generated that lead to new possibilities for interacting in less conflictual ways. For when we become aware of how we are using our minds, we are able to better understand ourselves and what we do. And when we have a heightened awareness of ourselves, we are able to become curious about others in a way that helps us better understand them and what they do, both of which have important implications for how we go about facilitating the transformation of conflict. The challenge of Insight scholars has been to pinpoint, describe and explain the interiority of decision making in conflict in a way that advances the field, for unlike the crystalline layers of a geode, as pictured on the front cover, which can be examined and measured with the microscopes and gauges of natural scientists, the layers of interiority that pattern our decision making require paying attention to data that cannot be seen –the data of our consciousness, which, as Jamie Price explains in this issue, is constituted by the questions we ask and the answers we devise as we come to know, value, and decide to act. As such, the Insight approach has gone through a succession of cumulative hypotheses, each one generating insights toward a more adequate understanding of what we are doing with our minds when we are in conflict and what we are doing when we are both disengaging and helping others disengage from it. This succession is by no means complete. It is a journey of paying attention to our experiences, learning from our interiority, and applying our discoveries to change conflict dynamics. In this issue we introduce you to how to do that. We begin with an article by esteemed editor of this journal, Santiago Madrid Liras. His essay situates Insight Mediation within the three predominant schools of mediation practice and advocates that Insight take its place among these schools to round out the field. Salvador Garrido builds on Madrid Liras’ article with an interpretation of Insight Mediation as an innovation in the field that should be considered on its own terms. 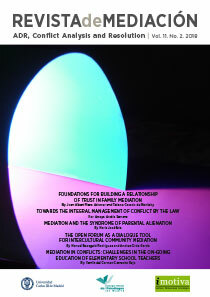 Following these proposals for establishing Insight within the field, Cheryl Picard, expert mediator and pioneer of the Insight approach, offers an introduction to Insight Mediation in practice and an accessible overview of ten key skills that Insight mediators use to elicit the interiority of conflict behavior and to transform it, moving parties from conflict to resolution. From the practical application of Insight Mediation, we turn to the methodological and theoretical underpinnings of the Insight approach more broadly. Jamie Price, a scholar of Bernard Lonergan and the principle methodologist of the Insight approach, outlines the basic method that undergirds the skills that Insight analysts, mediators, and practitioners use to facilitate the transformation of conflict. Marnie Jull in the essay that follows, deepens our understanding of the Insight approach’s engagement with the interiority of emotions as signifiers of valuing. Megan Price then discusses the psychological implications of threat and the power of curiosity to improve our thinking in conflict. Together these essays charter new territory in the scholarship on the Insight approach and form an invaluable introduction for mediators, peacebuilders, and conflict practitioners in the Spanish speaking world and beyond. We are grateful for the opportunity and look forward to an expanded audience of collaborators as we continue to move this important thinking forward. Director of the Center for Applied Insight Conflict Resolution in Washington, DC and heads the Insight Conflict Resolution Program at George Mason University, where she also teaches in the graduate program at the School for Conflict Analysis and Resolution. Dr. Price’s research and practice focus on designing reliable, context-based solutions to systemic social conflict through targeted curiosity.